Origami or paper folding techniques can be used to create almost any shape imaginable with paper. Paper money is a medium that can also be used to fold whimsical objects for any occasion. Fold dollar bills into bow ties to wear or to slide into a greeting card. A folded bow tie requires no special tools and the cost is the amount of the bill. The bow tie can be given as a gift and the recipient can simply unfold it to spend. 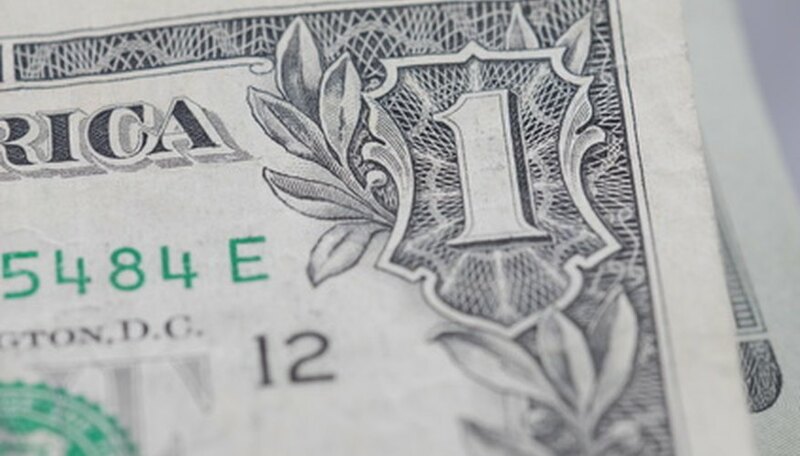 Fold a dollar bill in half with the back side together and matching the short ends. Crease the fold. Fold the top edge of the folded bill down to the bottom edge and crease the fold. Unfold this fold. Your bill is folded once, with a horizontal crease across the center of the half. Lay the folded bill with the folded edge at the top. The center crease is now vertical. Fold each of the top corners down to the center vertical crease. Crease these folds. The bill will resemble a house shape. Unfold these corners. Separate the bill layers at these corners and push the corners between the bill's layers, matching the corner creases. The bill will resemble a house shape, but this time with the corner flaps sandwiched in between the layers of the bill. Lay the bill with the point of the house at the top. Fold up the top layer of the short end to the point and crease the fold. Flip the bill over and repeat on the other side. The bill is a small rectangle with the point sandwiched inside. Fold down each of the the top corners, on the top layer, to the center crease. This will create a point. This point will line up with the point sandwiched in the center. Flip the bill over and repeat on the other side. The shape is a triangle. Hold the triangle with the flat bottom up. Slide your thumbs between the layers to the inside point of the triangle and pull outward as you hold your other fingers over the point on the outside. Let the center of the bow tie pop up and fold naturally into a square. The top and bottom of the center square will naturally fold approximately a 1/2-inch to the back, with the President's image centered on the front.